Viswanathan Anand successfully defended his World Chess Championship title after beating Israeli challenger Boris Gelfand 2.5-1.5 in the four-game Rapid Chess tie-breaker, in Moscow [ Images ], on Wednesday. Playing with White, Anand broke the deadlock in the second game of the Rapid chess tie-breaker when he outclassed Gelfand after 77 moves to secure a vital victory. The rest of the three games in the tie-breaker were draws, helping Anand clinch the championship via the tie-breaker. The World championship was forced into a tie-breaker after a tied 6-6 result at the end of the 12 classical games. This is the first time that Anand was stretched to the tie-breakers in World Championship matches. He has been World Champion since 2008 and this was his fifth World title. Under Rapid chess rules each player has 25 minutes with a ten seconds increment after every move is made. Anand, 42, won the FIDE World Chess Championship for the first time in 2000 and held the crown till 2002, at a time when the world title was split. The Indian became the undisputed World Champion in 2007, after the world championship had been reunified. He then successfully defended his title against Vladimir Kramnik in 2008 before beating Veselin Topalov in the World Chess Championship in 2010. 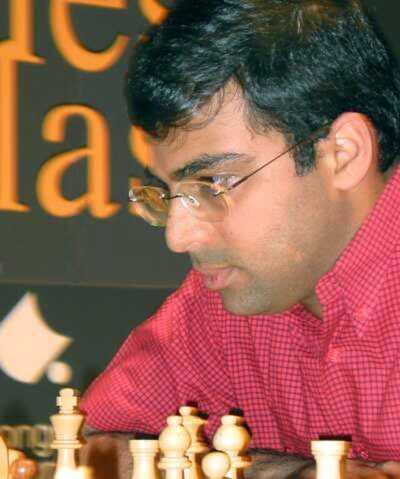 Anand became India's first grandmaster in 1987.